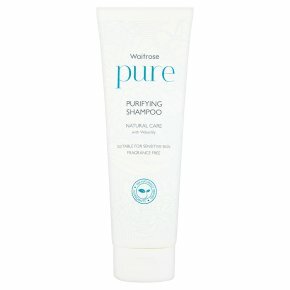 Purifying shampoo Made with waterlily to gently cleanse hair. A blend of naturally derived ingredients combined to gently clean hair, leaving it feeling soft and looking shiny. Dermatologically approved. Suitable for vegans and vegetarians. Paraben free. Sulphate free. Suitable for all hair types including coloured hair. INGREDIENTS: aqua, Cocamidopropyl Betaine, Glycerin, Sodium Lauroyl Methyl Isethionate, Lauryl Glucoside, Phenoxyethanol, Sodium Cocoamphoacetate, Sodium Methyl Oleoyl Taurate, Sodium Lauroyl Sarcosinate, Acrylates/C10-30 Alkyl Acrylate Crosspolymer, Sodium Benzoate, Coco-Glucoside, Glyceryl Oleate, Sodium Cocoyl Isethionate, Sodium Chloride, Sodium Phytate, Tocopherol, Sodium Hydroxide, Citric Acid, Butylene Glycol, Nymphaea Alba Flower Extract, Hydrogenated Palm Glycerides Citrate.